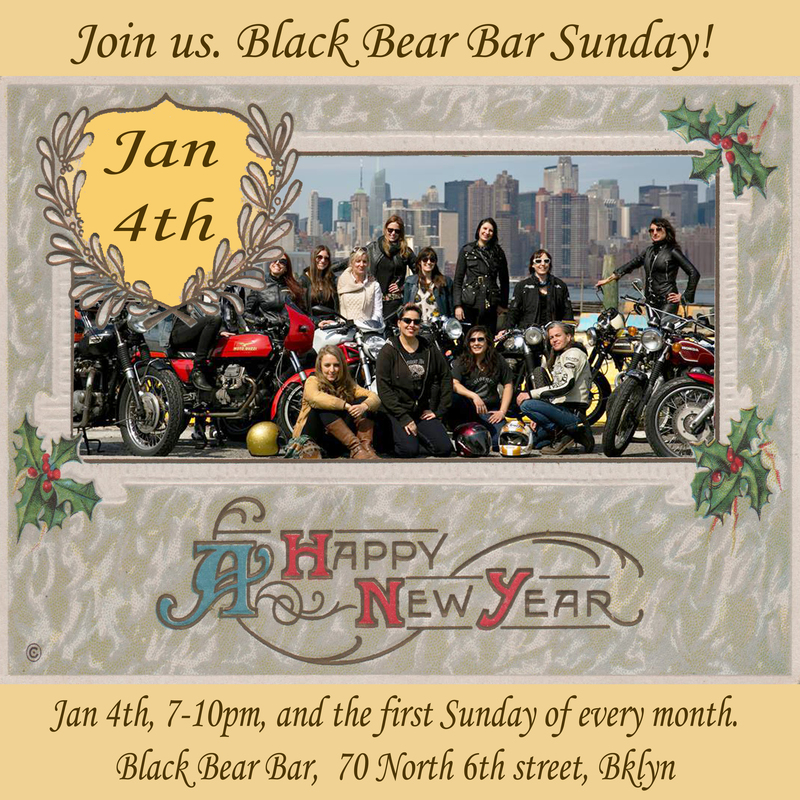 Black Bear Bar Sunday, and a Happy New Year! Join The Miss-fires the first Sunday of every month at Black Bear bar from 7-10pm. A perfect way to meet us and the local motorcycle community, talk bikes, plan rides and have a general good ‘ol time. All are invited and we hope to see you there! Follow us on Instagram @themissfires and on Facebook so you never miss any of the fun. This entry was posted in Events, Gatherings and tagged black bear bar, black bear bar sundays, brooklyn, meet and greet, meet up, motorcycle community, motorcycles, New York, the miss-fires, the missfires. Bookmark the permalink.